SOAPDOM.COM: Vanessa Williams and Thomas Calabro join The Bay! The Bay the Series is on a roll. As they are gearing up for Season 4, the Daytime Emmy Award winning web series has landed two additional fine actors. This time hailing from Melrose Place! So yes -- Melrose Place meets Bay City when LANY Entertainment's Emmy winning drama series The Bay begins shooting its much anticipated Season 4 later this week. MICHAEL FAIRMAN ON AIR | ON SOAPS: Melrose Place Stars Thomas Calabro and Vanessa Williams Join THE BAY! More casting news out of Gregori J. Martin’s Daytime Emmy Award winning online series drama The Bay! 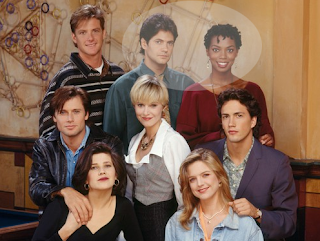 Two former Melrose Place stars are coming to Bay City for it’s upcoming fourth season. Melrose Place meets Bay City when Emmy winning web series The Bay begins shooting its fourth season later this week. Joining the cast is Vanessa Williams, best known for her roles as Rhonda Blair on Melrose Place and as Maxine Chadway on the Showtime cable television series Soul Food. Also joining the cast is Melrose Place veteran Thomas Calabro, noted for his role as Dr. Michael Mancini in all nine seasons and its reboot, who is also recognized as Mr. Puckman on FOX Network’s hit television series Glee. MICHAEL FAIRMAN ON AIR | ON SOAPS: DAYS Favorite Patsy Pease Joins The Bay! Looks like those Salem sisters, Kimberly and Kayla Brady (Mary Beth Evans), will be together once again, but on another show! News today has that Patsy Pease, who just returned as Kim on DAYS is also joining the cast of the Daytime Emmy Award winning online drama, The Bay. Back in Salem and soon to appear on The Bay, fans will be treated to a double dose of the amazing Patsy Pease. And they won't be disappointed, especially in regard to her new role on The Bay. Watch for a surprising twist! Read the entire SOAPCOM.COM article HERE. Soap veteran Patsy Pease joins the cast of the Emmy-winning drama series The Bay! Set to appear with her Days of our Lives on-screen sister Mary Beth Evans (The Bay’s Sara Garrett), Pease makes her appearance in the eagerly anticipated fourth season. SOAP OPERA DIGEST: PATSY PEASE JOINS THE BAY! Patsy Pease (Kim, DAYS) will be joining her on-screen Salem sis, Mary Beth Evans (Kayla; Sara, THE BAY) on season four of THE BAY. “Patsy is a very strong actress and will fit in perfectly with our stellar cast,” said Creator/Writer/Director Gregori J. Martin in a statement. CBS SOAPS IN DEPTH: DAYS Star As You've Never Seen Her Before! 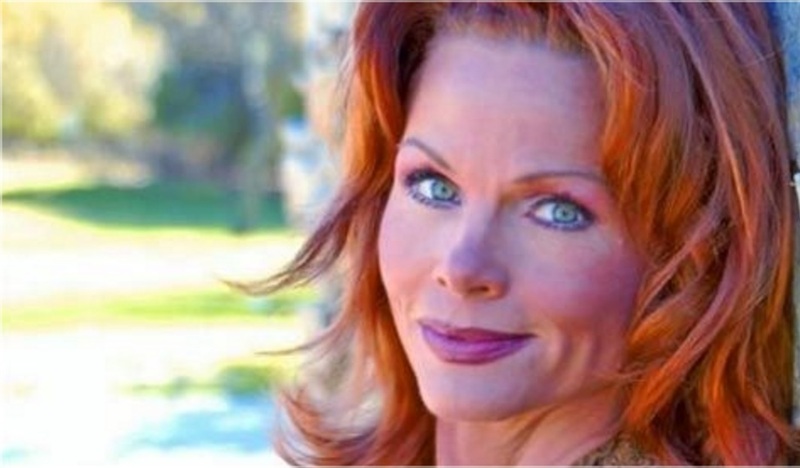 Patsy Pease is currently making a brief return to DAYS OF OUR LIVES as Kimberly Brady, but the actress will also be reuniting with one of her DAYS castmates on the Web soap THE BAY!